Al McCone, sector lead agriculture at WorkSafe, says: “This entry is a good solution to an ongoing problem across many farms. McCone says entering into silos, either from the ground or the top presents a significant risk to farmers, their families and workers. “It is easy to be engulfed by bulk materials such as grain, sand, flour, fertiliser and sawdust. “Bulk materials are not solid and there are often unstable areas or voids that may collapse under the weight of a person. 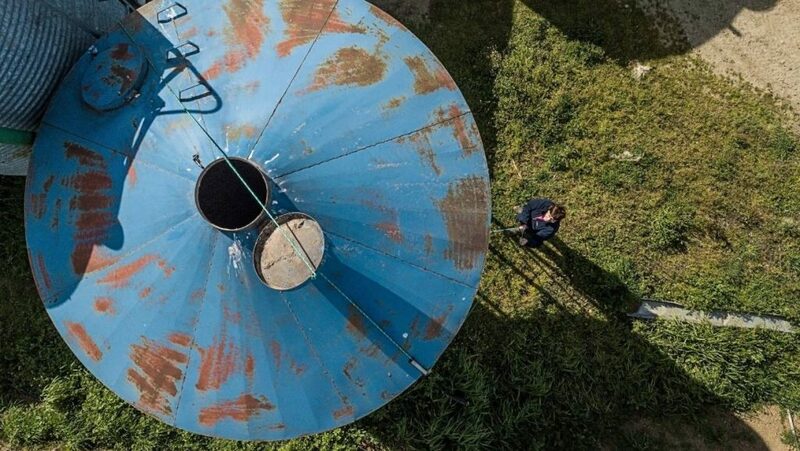 “This can cause a person to become trapped or buried in the silo. Donna Holland says she and her husband designed the rope pulley system to reduce the likelihood of an accident occurring. “We get a lot of feed delivered into the silo and this system means nobody has to go up to the top,” she explains. “The ropes on the ground make it easy to pull the lid open and close. Lisa Parish, Principal of Pukerau School, says the school was very excited to have been nominated by the Holland family for the prize. “Our students and community are very much looking forward to Richard Loe’s visit next year to prep everyone for the rugby season ahead,” she says.